Note- Use Desktop Mode In The Browser As It Does Not Support Mobile View. 2. Now Enter Your Name and Email Address. 3. Now Create unique password which contains Uppercase Letter, Special Character, A Number. 4. Now Enter Website Name. 5. That's it. Now Start Referring to your friends and get free T-shirt. 1. Click On Refer Friends Option On Top Right Corner. 2. Now Copy Your Referral Link And Share with your friends. 3. 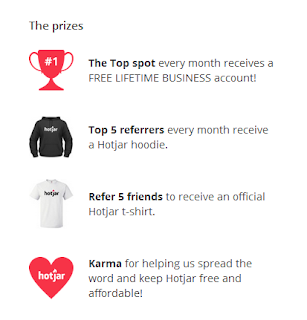 Just Refer 5 Friends and Get Free T-Shirt. 1. Firstly copy your refer link. 2. Now Open Incognito Mode In Google Chrome and Paste Your Refer link. 3. Complete Signup Process With All Details & Get Referral Points. 4. Just Refer 5 Friends And Get A Free T-Shirt. 5. Refer More And Get Free Prizes.